In Stricker v. Township of Cambridge the Sixth Circuit issued a ruling concerning police and their ability to enter a private residence. The case began when members of the Stricker family placed an emergency call to 911 to ask for help for their son who appeared to be overdosing. The 911 operator asked what substance the son had consumed but the mother, Susan Stricker, said she did not know. Paramedics arrived soon after the call was placed but followed their stated policy of not entering a house until the police had arrived to secure the scene. A police office who heard the house involved in the call radioed the police dispatcher to let the department know he had previously been to the same address and made several arrests for occupants of the home who were heroin addicts. When the police finally arrived, the Stricker family told them to leave their property. EMS and the police at the scene pressed the family to allow them inside to treat the ill son, the family insisted that the police had to go but the EMS were allowed to stay. The brief appearance of the ill son in the front window, unsteady and obviously in distress, as well as a consultation with an assistant district attorney, was all the officers on the scene needed to force their way inside the house. The parents were handcuffed and the son was treated by EMS. The son was later found to have taken Xanax and heroin and required hospitalization. While the police were securing the home they did a standard security sweep and uncovered some illegal substances. The parents were ultimately charged with resisting an officer and the son was arrested for substance abuse. The family then filed a suit against the police department, claiming that the officers who pushed their way into the house broke the law by engaging in an unreasonable search and seizure. They further claimed the officers used excessive force and that the district attorney’s office was working in conjunction with the police in a conspiracy to violate the Fourth Amendment. The Sixth Circuit appeared not to hold much concern for the arguments of the Stricker family. 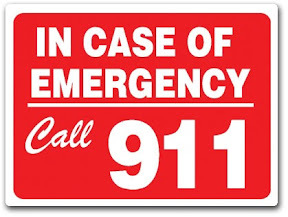 The panel found that 911 calls represent a textbook example of an exigent circumstance. Such emergency situations are prime examples of when it can be necessary for police officers to enter a home without a warrant. The Sixth Circuit said even hang-up calls to 911 could be justification for such police entries. The 911 call, the previous police interaction with residents of the house and the brief encounter with the ill son in the window all served as sufficient justification for police action given that it was reasonable to assume the man needed immediately medical attention. The Court went on to call the search of the house justifiable, though a close issue. The panel wrote that because the mother was unable to explain what substance her son had ingested the police were justified in searching for more information to help treat the son.